Feb. 25: The Boulder Jewish Community Center’s annual fundraiser helps raise funds for the center’s programming and youth scholarships. 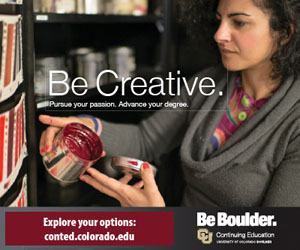 Check www.boulderjcc.org for more details as they become available. April 28: CCO, the fifth-oldest opera company in the country, celebrates 85 years with their annual gala, an elegant evening that raises funds for the summer festival productions. The event features a cocktail hour, seated dinner, live concert and after-party. Check www.centralcityoperagala.com for ticket information, venue and time. Feb. 4: This huge (and delicious!) fundraising event benefits Safehouse Progressive Alliance for Nonviolence (SPAN), which supports victims of domestic violence. Enjoy a signature chocolate cocktail, a full dinner, dancing, wine, and live and silent auctions. Find venue and ticket info at www.safehousealliance.org. Dec. 10-11: Special afternoon-tea events at the Hotel Boulderado help raise funds for Boulder Ballet, with some of the troupe’s performers on hand to greet guests. The Boulderado is at 2115 13th St. Register at www.boulderado.com. April, TBA: The Humane Society of Boulder Valley’s signature fundraiser features a live and silent auction, food from local restaurants, and beer and wine. Check online for details, which weren’t available at press time. 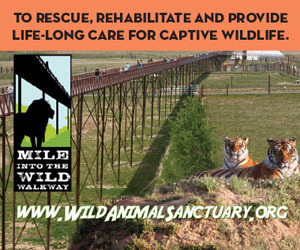 www.boulderhumane.org. March 16: Participants in the local “I Have a Dream” program present testimonials while attendees enjoy breakfast. 7:30-9am at the Plaza Events Center, 1850 Industrial Circle, Longmont. www.ihaveadreamboulder.org. Jan. 27: 16th-annual fundraiser helps Imagine! fund its programs, like housing and programs for people with developmental, physical and health-related needs. Includes live music, a silent auction with more than 200 items, a paddle raiser and dinner. At the Plaza Event Center, 1900 Ken Pratt Blvd., Longmont. Check www.imaginecolorado.org for updates. March 4: Big annual show and sale offers hundreds of volunteer-made quilts for sale; proceeds benefit the Safe Shelter of St. Vrain Valley and the OUR Center in Longmont. 10am-4pm at First Lutheran Church, 803 Third Ave. in Longmont; preview is 5-8pm (no sales) on March 3. www.interfaithquilters.com. Dec. 1-3: See listing under Holiday Events. March 18: LHS’s spring fundraiser raises funds for the shelter’s many programs and includes visits with adoptable animals, live music, tasting stations and microbrews. Find out more at www.longmonthumane.org. March 11-12: Held during Nederland’s Frozen Dead Guy Days, this annual event with all-you-can-eat pancakes and other goodies helps the Nederland Area Seniors fund their many programs. 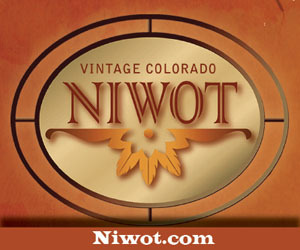 8-11am both days at Nederland Community Center, 750 Highway 72 North. www.nederlandareaseniors.org. March 18: Empty Bowls raises awareness and helps feed the hungry in Longmont, with proceeds benefiting the OUR Center. Ticket price includes a handmade bowl and two soups from area restaurants. Donate a bowl to the event by purchasing and painting one at area ceramics studios. Find out more at www.ourcenter.org. Sundays in December: Holiday-themed afternoon teas at the St Julien Hotel help support There With Care, a Boulder nonprofit that supports families facing critical illness. Teas include traditional beverages and treats, plus live music. The St Julien is at 900 Walnut St. Register at www.stjulien.com. 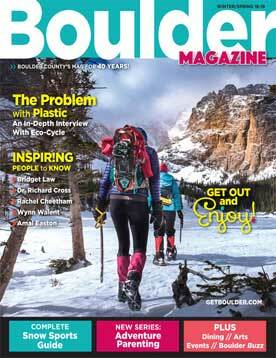 April, TBA: Boulder, “America’s Foodiest Town,” presents culinary arts and distinctive wines during strolls through Downtown Boulder’s most vibrant galleries and retail stores. A portion of proceeds benefits a local nonprofit. Find tickets and more info at www.tasteofpearl.com. Dec. 1: World AIDS Day is observed around the world on Dec. 1 each year. For information about events being held in Boulder County, including a video presentation, a discussion and free testing, see www.bcap.org or www.one-colorado.org.